Find everything you need to know to feel better with herbs. Can you imagine one without basil pasta sauce, Japanese food without wasabi or Mexican food without chile? Prepare authentic dishes from around the world has never been so easy. Asian herbs, in particular, have become very popular in recent years. Thai basil, coriander, perilla, kaffir lime leaves, lemon grass and turmeric are easier to get each time, and the spices used in Africa, the Middle East and the Caribbean islands, among other regions. And not only the leaves are used in recipes; often flowers, seeds, stems and roots are also included. The recipes we present you provide measures on the amount of herbs and spices that can be used, but you can change them to your liking. One of the great advantages of using herbs is that, and certainly you will notice, reduce the amount of salt to the cooking.Herbs provide enough flavor! You can always add more fresh herbs at the table. In Iranian and Vietnamese cuisine, a bowl with fresh herbs is an appetizer or a joint lining. The Lebanese also provide a source of fresh herbs and vegetables as part of a selection of entries in the table. When cooking with herbs is better to add the soft leaf, such as coriander, towards the end of cooking to retain its flavor. Thicker, such as rosemary, are ideal for dishes that require long, slow cooking. Dried herbs have better concentrated than fresh, so you need less quantity. 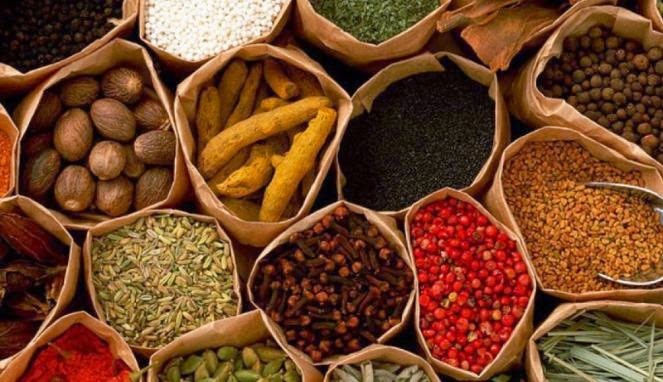 Buy few dried herbs and spices, to avoid waste, and save them in an airtight container. Do not ignore the expiration date of commercial products as dry grass or spice can deteriorate sooner than indicated. The best way to verify its freshness is by smell, taste and appearance. Thankyou.